On November 30th, two members of Pakistan’s federal parliament (National Assembly), Ali Wazir and Mohsin Dawar, were stopped from boarding a UAE flight at Peshawar airport. They were detained for over six hours by the state agencies to make sure that they cannot travel abroad. This is the latest action of the military establishment to target comrades Mohsin and Ali merely because both these parliamentarians have been leading a mass grassroots civic and socioeconomic rights movement, critical of state’s “war on terror” policies. A brief background is offered here in order to understand the symbolic gravity of this oppressive state action. 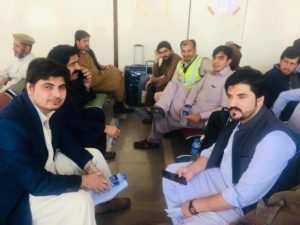 Two sitting MNAs, Mohsin Dawar and Ali Wazir from Waziristan were offloaded and arrested by FIA from Bacha Khan airport Peshawar. Mohsin Dawar and Ali Wazir were elected as members of National Assembly in July 2018 from North and South Waziristan. Months before their elections both emerged as popular leaders of Pashtun Tahafuz (Defense) Movement (PTM). Although Ali Wazir has been having a mass support for more than a decade as was proved in the 2008 and 2013 elections where his election was stolen by the agencies and defeated with tiny margins. PTM that arose in 2017 has been demanding an end to the state support for faction for Taliban, rehabilitation of tribal citizens displaced by military operations, and end of to military excesses in Pashtun belt bordering Afghanistan. This region has been a base camp for the Taliban and Al-Qaida since the 1980s. Local inhabitants have paid a huge price for the Afghan conflict in this region. Ali Wazir symbolises the miseries and resistance of the local people against state-sponsored Taliban. Thirteen of his family members, including his father and siblings, have been targeted and killed by the Taliban. Ali Wazir and Mohsin Dawar’s home districts have been internationally portrayed as a safe heaven for Taliban. Where if one goes by global and national media reports, wild tribal people have been hosting global networks of Jihad, this is a blatant depiction of the situation. These depictions mirror generalised discriminatory attitude against the Pashtuns in Pakistan. 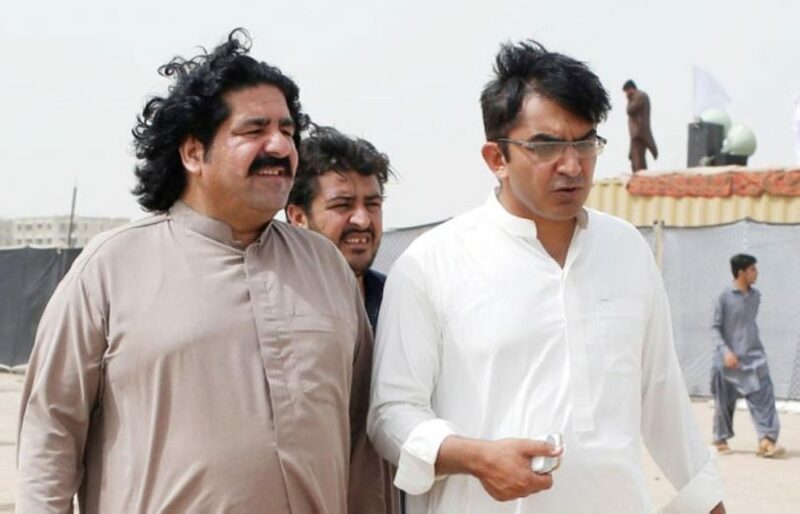 Ali Wazir and Mohsin Dawar are publicly known for their progressive views and defeated fundamentalist parties in these remote hinterlands of South Asia popularly elected them. Ali Wazir has proclaimed to be a socialist and has been associated with Pakistan’s Marxists of “The Struggle” for almost fifteen years. This is just one indication of the flawed picture painted of Waziristan in media locally and internationally. Pashtuns constitutes the third largest ethnic community in Pakistan and largely inhabit the area bordering Afghanistan. In fact, this region has been subjected to orientalists’ depictions by British colonial forces for over a century. The most powerful rebuttal of orientalist depiction and media coverage was offered in the form of PTM. Earlier this year, for months, the PTM mobilised hundreds of thousands of people; besides inspiring millions of others, against state sponsored “war on terror”. 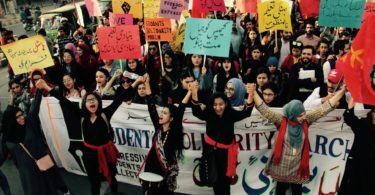 Besides holding huge mass rallies across Pashtun areas, the PTM has also exposed hypocritical state policy on the Taliban in Pakistan’s metropolitan centres of Lahore and Karachi. Consequently, Manzoor Pashteen, Mohsin Dawar and Ali Wazir have been subjected to malicious media vilification campaign. In one case, for instance, their pictures were used as a terrorists and traitors in one of the official state anti terrorism poster campaign. 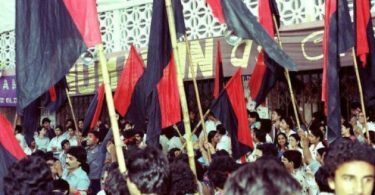 Hundreds of their activists implicated in false cases and jailed. Despite the state oppression that earlier has translated into extra judicial killings, torture and destruction of entire villages, the PTM remained peaceful in its methods. However, instead of resorting to so-called legal and constitutional actions, PTM has mobilised people on the streets against these arrests and other oppressive action. Many times, they have forced the state to relent. Yet another powerful tool in the hands of PTM activists has been social media. November 30th arrests and release of Mohsin Dawar and Ali Wazir was brought on national agenda through a powerful social media campaign. They are now household names in Pakistan. Thanks also to vilification campaign. 1- PTM needs a continuous international solidarity campaign in support of their just demands and peaceful methods. 2- The PTM has exposed the contradictions of “war on terror” discourses, global as well as national. This requires a reappraisal of strategies and discourses on Afghan conflict. We therefore demand that PTM should be taken on board as part of any solution of the conflict. 3- The PTM movement has established the viewpoint presented by the Pakistani Left since 9/11. Opposing the US occupation of Afghanistan, the Pakistani Left was pointing out that a military solution of fundamentalism would only galvanise the fundamentalists in the region. Earlier we only have the so-called Taliban ruling Afghanistan, now they have been ruling parts of Pakistan. On top of that, ISIS is firmly in control of at least 3 provinces in Afghanistan besides a footprint in Pakistan. Therefore, the Pakistani Left should be supported in its ideological and political fight against fundamentalism.